DisplayPort is the new digital display interface standard. It has been recently approved (5/2006) by VESA and will be hitting the markets in 2008. For most computer users, the fairly big and bulky VGA port is familiar. 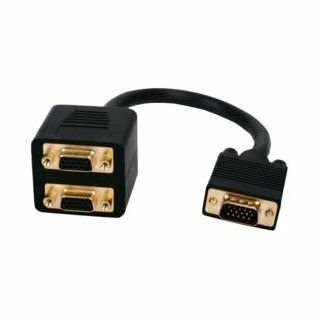 While the VGA port has been extremely reliable and has delivered competent performance, the new standard – the Display Port – is considered to be quite an upgrade from traditional VGA ports and is on par with HDMI. The DisplayPort will be mainly manufactured by large computer makers to send video, as well as audio signals from the computer to a computer monitor or home theater system. The reason for the upgrade is to increase both video and audio performance and allow an easy connection from the computer directly to an entertainment center hookup. The DisplayPort is about the size of a USB connector, it supports from 1 to 4 data pairs including video, audio, clock signals, etc at a transfer rate from 1.62 to 2.7 GBs per second. Video specs include a video path that supports 6 to 16 bits per color channel. It also includes a Main Link that is bi-directional. Other specs include a maximum resolution of 1080p at 24bpp and the ability for full transmission of its signals even over a cable length of 3 meters (about 10 feet). However, there is signal degradation after a length of about 10 feet. It should be noted that while pass through of HDMI and DVI is allowed, the DisplayPort is not compatible with these formats. The DisplayPort version 1.0 has the ability to include optional content protection called DPCP (DisplayPort Content Protection). 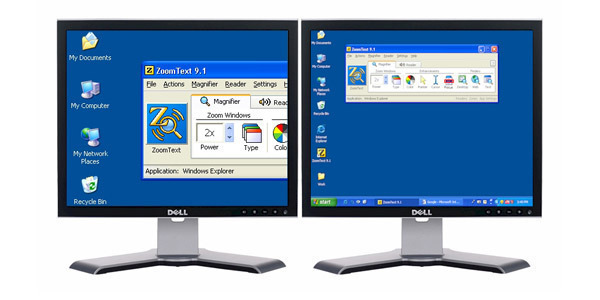 This copy protection standard was created by AMD and uses 128-bit AES encryption. It should also be noted that DPCP includes the ability to verify proximity of the receiver and transmitter independently. This feature can help prevent data being sent to distant, unauthorized users. 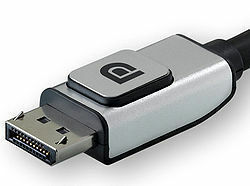 Recently, DisplayPort has issued version 1.1. With this new version come a few upgrades, including support for HDMI&apos;s content protection called HDCP and the support for fiber optic cables (originally DisplayPort only supported copper cables). Fiber optic cables will allow the transfer signal of very large distances without the deterioration of data. The DisplayPort&apos;s size is much smaller than its predecessor, the VGA connection. This newer, slimmer size is extremely thin and perfect for mobile and handheld devices. Several large manufacturers have now stated that they plan on including the DisplayPort connection within many of their devices. HDMI stands for High Definition Multimedia Interface. It is considered to be one of the top standards in the industry for transferring high quality video and audio from high definition DVD players, computer&apos;s, etc. to high definition TV&apos;s and monitors. While HDMI has received quite a few accolades for performance, in order to use the standard, it does require manufacturers to pay licensing fees. On the other hand, the new DisplayPort standard is license free, making it much more attractive for large computer and technology manufacturers to use. 187 queries in 0.283 seconds.